The blue, white and red colours of the French flag that covered the Eiffel Tower after the terrorist attacks of November 13 in Paris are gone. 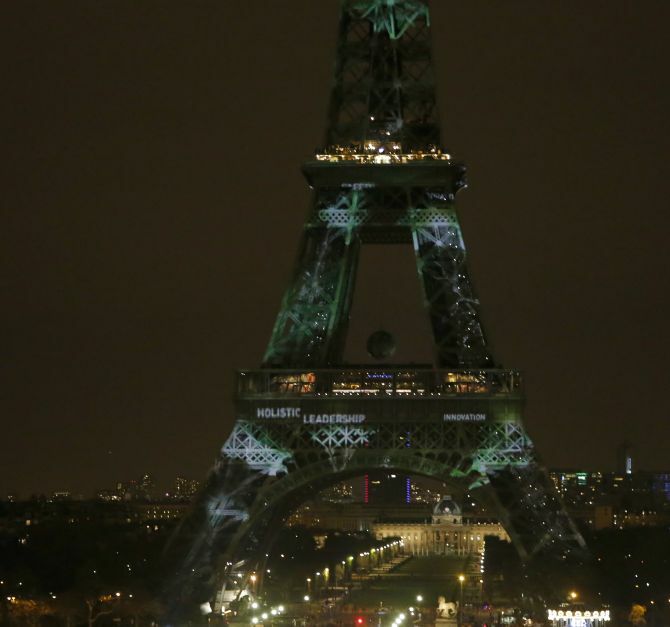 Instead, the tower has gone green. 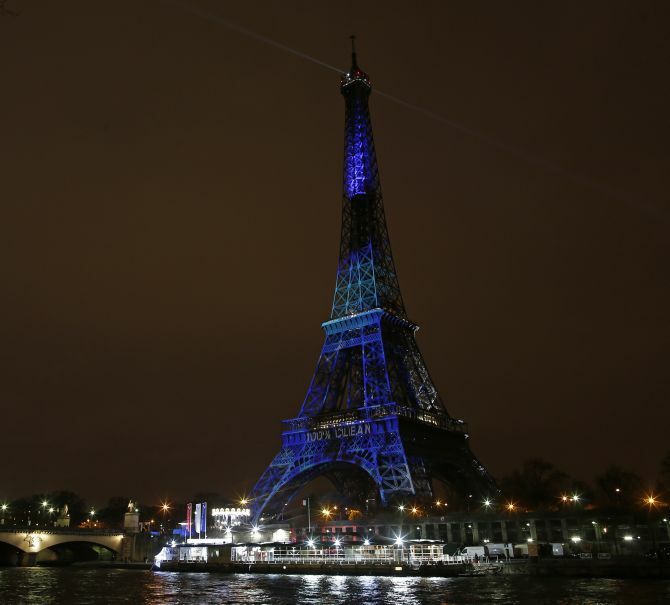 The structure went green for the opening of the Paris climate conference, marking the launch of an art project that will see "virtual trees" grow on the landmark to support reforestation. The project, the work of the artist Naziha Mestaoui, is called 1 Heart 1 Tree. It allows participants to add a tree to the installation through the project’s website or a mobile app, by buying a virtual tree. That purchase also supports the planting of a real tree as part of one of the reforestation programs aligned with the project, including in Brazil, Peru, Senegal, Kenya, France, India and Australia. “The idea is to connect the virtual and the real, technology and nature, and give everyone the opportunity to act in a tangible sense,” the artist said. 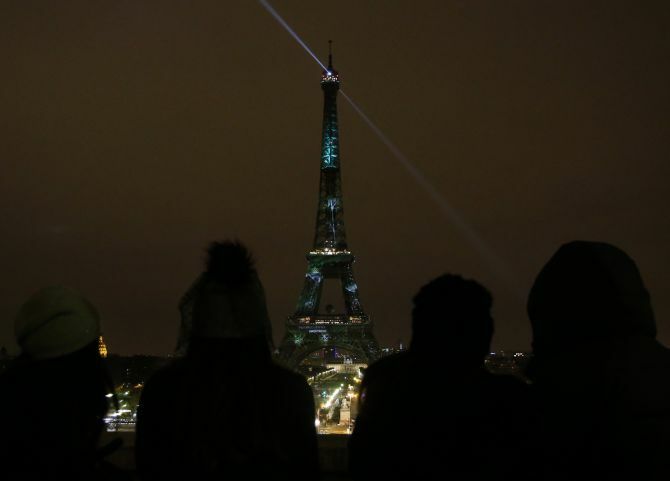 The launch came as some 150 world leaders gathered in Paris for a fortnight of talks starting on Monday intended to clinch the first international pact to limit emissions of the greenhouse gases blamed for climate change.